There is no overstating the importance of speed and convenience in the current carwash market. The ability to clean more vehicles in the same amount of time has proven to be a game changer in an industry where destructive pricing battles are frequently waged. As prices have fallen and automation has increased, ingress and line speed have become a carwash owner’s two best friends. Yet, even with price and time constraints, customers are more demanding than ever. Modern consumers expect every wash offering to be quick, efficient and thorough — even the ones that still depend on old-fashioned manpower. For owners looking to increase line speed while emphasizing customer service, there is only one solution: Evolve traditional offerings. One time sink in many operations has long been labor-based window, body and interior cleaning. Paying employees to perform final wipe downs and clean windows proved expensive, and even more problems arose when it came to keeping the towels clean. 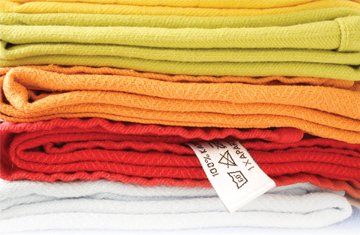 Contaminated towels frequently led to streaking and on-site bottlenecks. Today, problematic areas such as windows, dashboards, seats and body panels can be cleaned and protected using convenient premoistened wipes and pretreated towels. Further, users can clean and dress the interior areas of their cars easily without having to gather numerous items from racks, garages and basements. Kelliher noted that these packaged wipes can actually be stored easily in vehicles year round. Newly-developed mitt wipes are a new option when it comes to packaged wipes. Kelliher’s company offers mitt versions of its glass and protectant wipes, and they were introduced in 2011. The mitts allow for a “convenient and user-friendly mode of application.” Further, a single mitt wipe is equivalent to five traditional wipes, Kelliher stated. Premoistened wipes can also be purchased in large, center-pull wall dispensers. According to Lynette Zunker with Car Spa Inc., wipes from these bulk packages can be distributed by carwash employees or left out for customers. In express conveyor washes, these wipes can give customers an opportunity, during the time it takes for the wash to complete, to get their interior just as clean as the vehicle’s exterior. These wipes have proven to be a boon for c-stores and petroleum sites as well. At a c-store with a carwash, foot traffic can be increased by having cashiers hand out the wipes at a check-out counter. If properly marketed at the fuel pump, free car care wipes also can draw more customers into retail areas, Zunker stated. For just pennies, the carwash owner has the ability to offer a value added product to their wash packages. Customers appreciate an establishment that gives them “a warm and fuzzy” free of charge — especially if it is something that they can actually use. Here, great service and products can equal more referrals and repeat customers, Zunker noted. New systems introduced by carwash suppliers now allow chemical to be injected into traditional towels so they are ready for use on customer windows and vehicles. By pre-treating towels with glass cleaner, operators eliminate time loss and difficulties caused by spray glass cleaners, such as uneven application and unwanted glass cleaner ending up on the car, Brent McCurdy, managing director of Blendco Systems, stated. Spray applications can leave streaks and film on windows, and the wind can carry product to the other glass and painted areas of a vehicle. This may even create areas of a car that are now “dirty” with glass cleaner residue. McCurdy explained that the system can also help owners avoid the clutter of spray bottles around a wash.
Ira Feinberg with CarWashWorld.com said that his company’s system injectsa special formula of window cleaner into the towels during the final rinse of a wash cycle. After the towels are treated, they are lightly moist with the special cleaning formula. Once the towels are used on the windows of customer vehicles, they are washed again and go through the same process and are reinjected for use. The first component for Feinberg’s system is a special extractor offering high-speed extraction. This piece of equipment cleans and washes the towels thoroughly three times with different chemicals producing a clean towel. On the fourth cycle, the window cleaner is injected into the towel. The companies that offer pretreatment chemicals for towels said the development and implementation of these systems took decades. McCurdy revealed his company’sformula was the result of years of testing in the laboratory. Instead of windows that are clean only in some areas or have unsightly smears, the finalized injection process provides a clean, pre-treated towel that provides consistent results. Special washing detergents for the towels are also part of the pretreatment systems. McCurdy said that proper cleaning agent will ensure that towels are clean, and they will not contain some of the salts that are present in many other detergents.